On the evening of January 9, 2014, Her Majesty Queen Sofia of Spain arrived at the Cine Callao in Madrid to attend the première of the film, Vicente Ferrer, directed Mr. Agustín Crespí. The film tells the story of the late Mr. Vicente Ferrer, a Spanish philanthropist who devoted his life to improving the living conditions of the most disadvantaged individuals in southern India. Their Royal Highnesses Prince Felipe and Princess Letizia of Asturias Hold Audiences. On Wednesday, January 8, 2014, Their Royal Highnesses Prince Felipe and Princess Letizia of Asturias held audiences at Palacio de la Zarzuela in Madrid with the Junta Directiva de la Asociación Española de Prensa Deportiva and representatives of the Asociación para la Autorregulación de la Comunicación Comercial Autocontrol. On January 8, 2014, Their Serene Highnesses Prince Albert II and Princess Charlene of Monaco arrived at the Stade Louis II in Monte-Carlo to attend the Fête de l’Ecole de Natation de la Principauté. “…initiative that aims to create awareness about the importance of supporting local industries and re-injecting money back into the Jordanian economy. The founder of Go Local, Support Local, Ms. Luma Qadoumi, explained [to Her Majesty] that the initiative mainly supports four industries: businesses, services and startups, farmers and producers, community based organizations, as well as artists and musicians. On Wednesday, January 8, 2014, Their Royal Highnesses Crown Prince Haakon and Crown Princess Mette-Marit of Norway arrived at the Operahuset in Oslo to attend the 2014 Næringslivets Hovedorganisasjon (NHO) annual conference. “…the leading voice of business and industry in Norway. Having expert knowledge and an extensive business network, the NHO plays an important and constructive role in the Norwegian society. On January 8, 2014, Her Majesty Queen Sofia of Spain arrived at the Sala Berlanga in Madrid to view the new documentary entitled, La Pasión del Prado. The documentary, produced in collaboration with Radiotelevisión Española, Museo del Prado and the Ministerio de Cultura, gives viewers a tour of the famous collections held at the Museo del Prado. 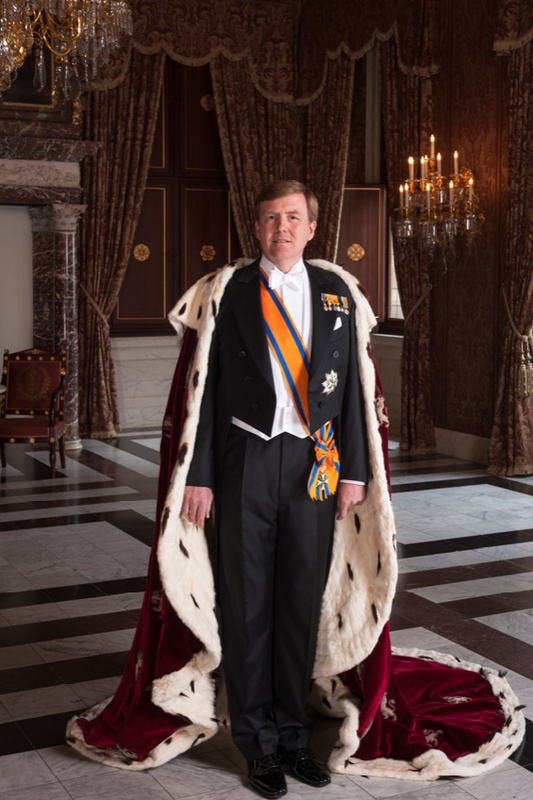 His Majesty King Willem-Alexander of the Netherlands Receives Credentials. On January 8, 2014, His Majesty King Willem-Alexander of the Netherlands arrived at the Paleis Noordeinde in Den Haag where he received credentials from ambassadors from Turkey, Chad, and Qatar. On Wednesday, January 8, 2014, Their Imperial Majesties Emperor Akihito and Empress Michiko of Japan held an audience the Prime Minister of Turkey, Mr. Recep Tayyip Erdoğan, and his wife, Mrs. Emine Erdoğan, at the Imperial Palace in Tokyo. According to Kyodo News, Prime Minister Erdoğan, his wife, and a Turkish delegation completed their three-day official visit to Japan this afternoon.